50 Foot Towable Boom Lift Rental – JLG T500J, is available for rent in Rochester NY, Ithaca NY and the entire Western New York region from the Duke Company. 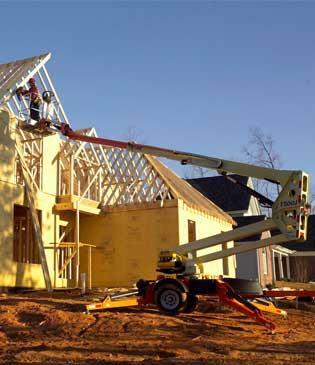 This JLG towable boom lift is available with a gas engine or 24V DC electric power. The convenient accessory mounting tray enables the accommodation of a generator, air compressor or pressure washer.